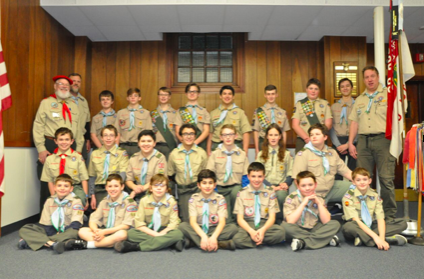 Easton Boy Scout Troop 66 will be hosting their 13th Annual Gourmet Breakfast on Saturday, March 2, 2019 from 7:30 am – 12:00 noon. The event will be held at the Easton Community Center located at 364 Sport Hill Road, Easton, CT. This event is the single largest fundraiser by the Easton Boy Scouts, which helps support their educational and skills development as future leaders within the community. The gourmet breakfast features made to order omelets, Belgian waffles, crepes and Danish Evelskivers. You’ll have to attend to find out what those are, but “delicious” immediately comes to mind! Traditional pancakes, bacon, sausage and beverages will be available as well. The Boy Scouts will be greeters, servers and bus boys.